ImagePrinter Pro - Basics. Help & Manual - ImagePrinter Pro. Open a document in any corresponding application (viewer for images, text processor for text, and so on). 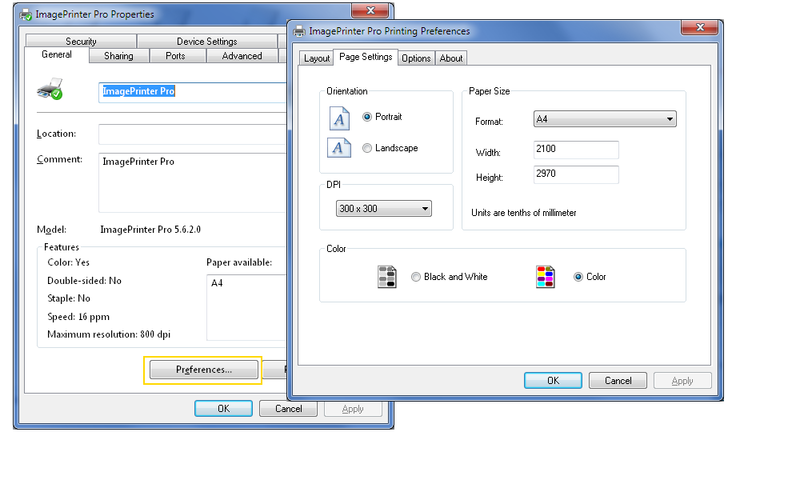 Open the print dialog from this application, choose ImagePrinter Pro as your printing device, and click OK.
Where you’ll be able to select the paper sizes as well as the number of dots per inch. 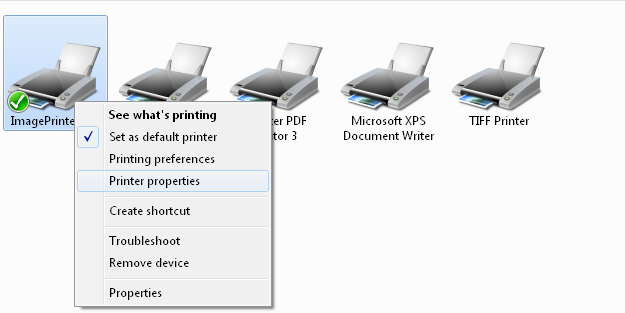 When printing a PDF file, do NOT use DPI 204/96 or 204/196 in order to avoid poor quality (these values are for faxes only). Before printing an MS Word document with a background image, enable the Print background colors and images option in Word.